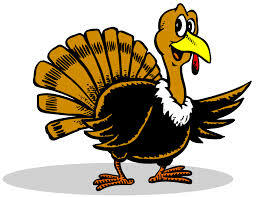 Win your Thanksgiving turkey at Turkey Bingo! Join us for some FUN at TURKEY BINGO! The winner for each bingo game wins a Thanksgiving turkey! You can also buy chances to win Fall themed basket. All ages are welcome! All proceeds go to support the Litchfield Area Mentorship Program-Kinship (LAMP-Kinship)! LAMP-Kinship is a youth mentoring program in Meeker County. We serve youth ages 5-17. Our mission is to connect youth with caring adults by promoting a relationship that provides mentoring, support, friendship, and guidance. It is a non-profit organization which is supported solely by donations, grants, and fundraising events.